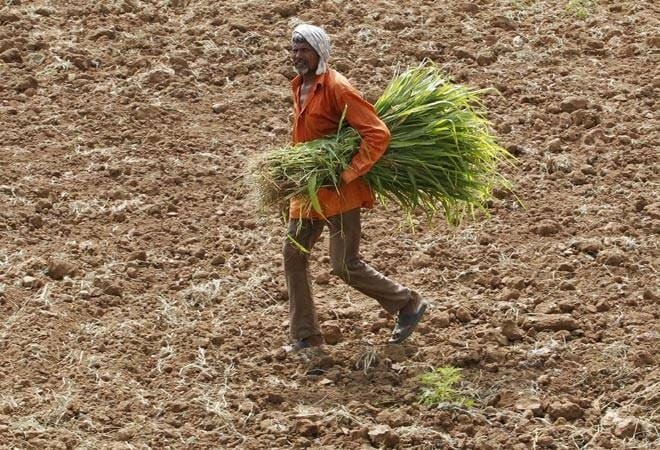 Come June, the most anticipated news in India is the arrival of monsoons and the promise it holds for the country's 119 million farmers and 144 million agricultural laborers directly involved with agriculture. The impact of a good monsoon could be felt in the collective sigh of relief heard, when IMD improved their long-range forecast for this year to 98% and ruled out El Nino possibilities altogether. With the monsoon going well, we may have a bumper production year in 2017-18, on the heels of a good 2016-17. In 2016, India produced its largest ever cereal food grain estimated at 273 million tonnes. We also saw bumper production in pulses, sugarcane and cotton. Agricultural budgets have gone up from Rs 16,646 cr to Rs 41,855 crore in the last 3 years. And the government has introduced many agro-centric initiatives like Pradhan Mantri Fasal Bima Yojana, Soil health cards, Pradhan Mantri Krishi Sinchayee Yojana and National Agriculture Market (eNAM). Minimum Support Price (MSP) for different crops have also been enhanced regularly. Our Prime Minister also pledged to double farmers' incomes by 2022 and this certainly makes for a rosy picture. Today food production is not the trigger for an agricultural crisis. Global and local market volatility is the current bane. Global explosion in food grain production has changed the market dynamics leading to pressure prices on our produce. While produce prices are constantly under pressure, costs are rising everyday thereby impacting farmer's incomes, debt repayment capacity and their overall wellbeing. Making matters worse, farmers bear the entire risk in the farm to market cycle. Be it outbreak of pests at production or losses in storage & transport or price uncertainty while marketing, the risk is not distributed evenly amongst other stakeholders like grain traders, aggregators or processors. 1. Weak Producer - Consumer Linkages: there is a disconnect amongst what the Indian farmer produces and what the consumer demands. The farmer is not connected to aggregators, food processors and retail chains to help shape the nature of his produce. As a result, produce remains the same annually, largely dependent on farmers and is often driven by the government's MSP program. 5. Commercial Agriculture vs Subsistence Agriculture: Policy frameworks across different crops remain the same and do not enable any significant impact. Whether they are basic food grains, pulses and oilseeds that meet staple dietary requirements and food security needs of the country or commercial crops like cotton, sugarcane, chilies that feed into industries that produce consumable goods or even vegetables and fruits for domestic consumption or export crops - the same broad stroke policy measures are used across each segment. A long term strategic vision which puts in place a holistic framework is the need of the hour. Key areas that need to be addressed include 'Increasing Supplier Power', the 'Producer - Consumer Linkages' and 'Customized Approach to Different Crop Groups'. These areas enabled with quality infrastructure, education, R&D, technology, marketing and risk mitigation etc. will give us the agricultural empowerment we need. a) Large Farmer Producer Organizations (FPOs) While there are some successful FPOs currently running, sustainability of operations in FPOs is still a question. What can help is ensuring that FPOs are properly networked and federated, regionally as well as centrally. 3. Roadmap that establishes a distinctive and customized policy approach for different crop groups. Each crop group comes with its own set of distinct challenges. For instance, increasing export crop production requires a different mindset and policy prerogatives compared to basic food crops or other commercial crops. As a nation, we need to move from an 'Export what is Grown' ideology to 'Grow per international quality standards & Export'. Measures such as establishing Agro Export Zones that have an independent APEDA equivalent as an enabler will be key. A customized approach and policy framework is needed for each crop segment such as food crops, commercial crops and vegetable growing regions.